The photo was taken during the Earth Hour. This was the actual candle we used during the one hour that we turned off the lights. Want more yellow to mellow your Monday? Hop to Mellow Yellow Monday by clicking the button below. lovely shot! 🙂 ive tried getting a shot of a lit candle but it didnt take as good as this! Thank you for your invitation. The site is an awesome site 🙂 I adore the pictures. This made me realize that I am not fit to join. I am not a photography enthusiast. As a matter of fact, I only use a point and shoot camera. A very gorgeous shot! Happy Monday! What a great take on the theme and a beautiful and inviting candle. We also joined the last earth hour. Really important I think. Love the photo! 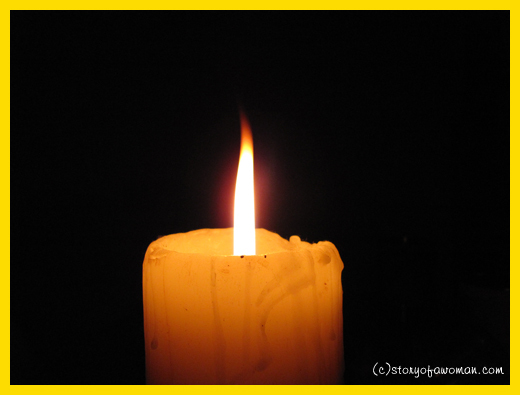 simple yellow candle but meaningful. Nice entry.